PayPal, the trusted leader in online payments, enables buyers and businesses to send and receive money online. PayPal has over 100 million member accounts in 190 countries and regions. It's accepted by merchants everywhere, both on and off eBay. 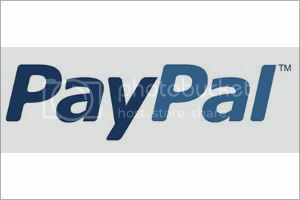 PayPal is an e-commerce business allowing payments and money transfers to be made through the Internet. Online money transfers serve as electronic alternatives to traditional paper methods such as cheques and money orders. Shop and pay conveniently by saving your information with PayPal. 2Checkout.com (2CO) is a worldwide leader in payment and e-commerce services. 2CO powers online merchants with a global platform of payment methods and world-class fraud prevention service on safe, secure, and reliable PCI-compliant payment pages. Accept Visa, MasterCard, AMEX, Discover, PayPal, Diner’s Club, JCB and Debit cards (in the U.S.) today! 2CheckOut offers a full solution for web stores and services - use of their shopping cart and fully secured check out pages. 2CheckOut is safe and secure system, and provides a competitive service at a fair price. 2CO accepts payment in numerous currencies, including Australian Dollars, Pounds Sterling, Canadian Dollars, Danish Krone, Euros, Hong Kong Dollars, Japanese Yen, New Zealand Dollars, Norwegian Kroner, Swedish Kroner, Swiss Francs, and US Dollars.